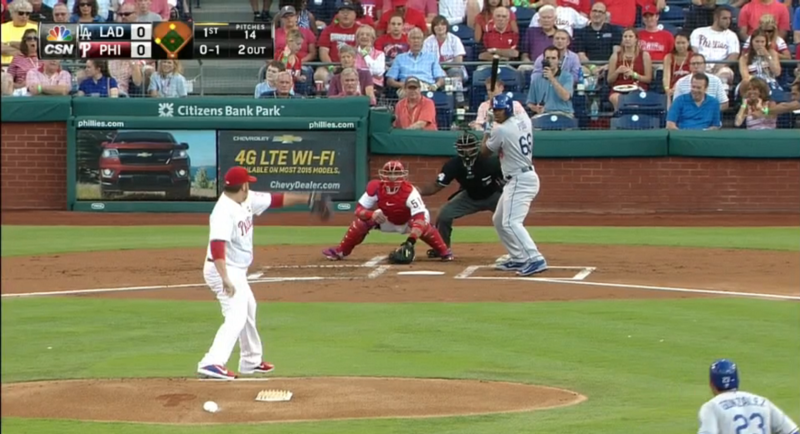 During Wednesday’s Dodger-Phillie game, I (and others) noticed that Yasiel Puig‘s batting stance had changed. Apparently, not a lot of folks made note of it, but it was a pretty significant change. Puig has struggled with production and injuries this season. It isn’t a lost season for him, but he definitely isn’t enjoying the success he had in 2013 and 2014. Let’s go back to 2013 — specifically, his MLB debut. I’ve never been much of a fan of his stance, as he has a lot of moving parts for a guy who is generally quiet at the dish. It sounds oxymoronic, but it makes sense. As you can see, this looks much different than what his stance would morph into. 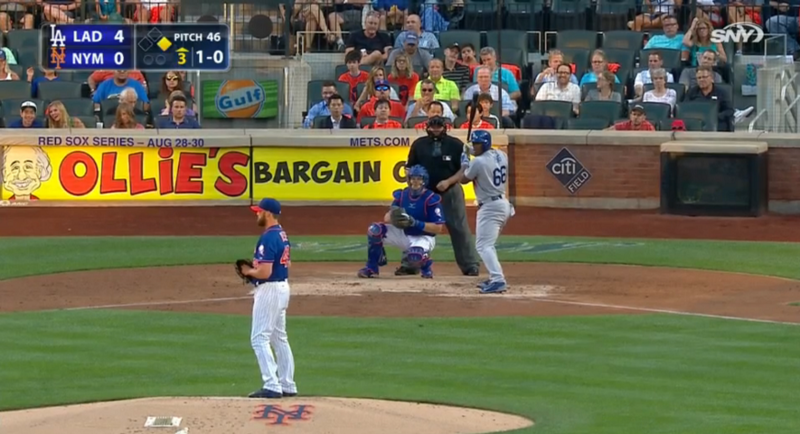 He’s a little more crouched, facing the pitcher straight-on with his shoulder slightly turned in and his hands are between chest- and shoulder level. 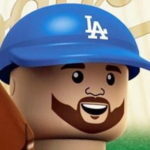 It worked for him early on, as the league didn’t yet have a book on Puig and what he does at the plate. Here he is in 2014 during the game in which he hit three triples against the Giants. He’s more straight-up-and-down, but his front shoulder isn’t turned in as much as it has been this season. His hands are farther away from his body and a bit lower than in the first screencap. This season, his stance has gone through quite a few changes. When hitters are struggling, that tends to happen. But these changes have been rather significant. This is from opening day this season against the Padres. He’s really straight-up with his stance, and the bat is actually slightly angled toward the first base dugout. I’ve noticed that with Puig a lot in his career, and I’m not the biggest fan of it. His feet are straight-on with the pitcher, but his front shoulder is slightly closed. He also appears to be a little closer to the plate. Here he is on June 10, which has been his best game (by win probability added) to date. This looks more like the game against ‘Frisco last year. His hands are closer to his body, but everything else is pretty similar. 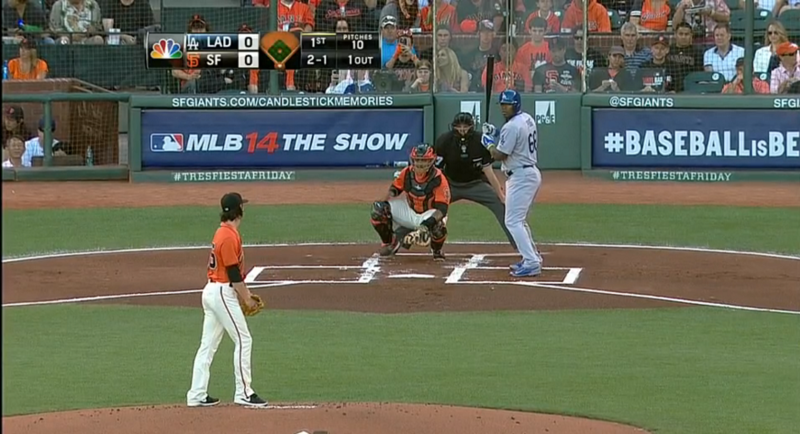 In the SF shot, he appears to be standing a little further away from the plate, but that’s about the only difference. Here he is on July 24, where some of the changes appear to be put into motion. 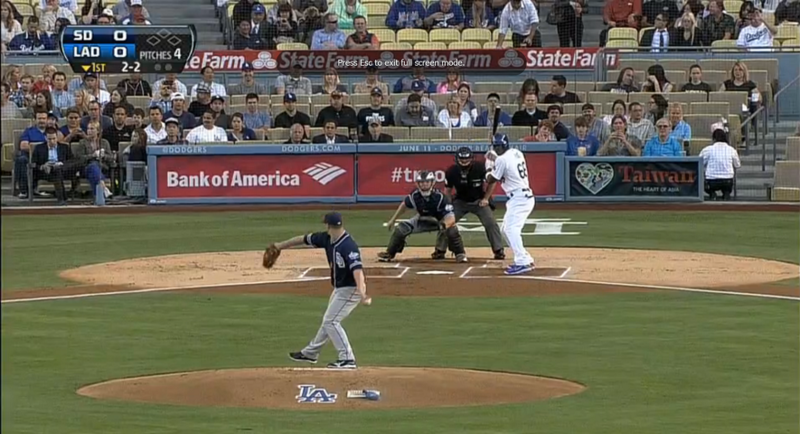 His stance is the slightest bit open, something he hasn’t really done in his career. His hands are also close to his body and position a bit higher (closer to his ear). His front shoulder is really turned in, which I’m sure is to compensate for having a slightly open stance. This is four days later against Sonny Gray. Again, the front shoulder is turned in significantly and his stance has closed up just a bit. And here he was on Wednesday night. This is the most significant change of them all. He’s crouched, his stance is more open than it has ever been (angled toward the third baseman), his front shoulder is closed and his right elbow is up. This allows him to get to the inside pitch a little easier. It also helps to keep the excess movement to a minimum. 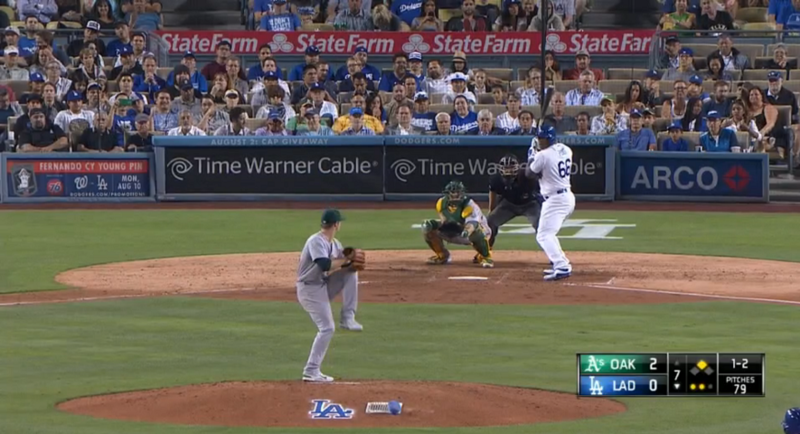 When he isn’t going well, Puig’s swing is really long and it drags. That can be said about many a hitter, but it’s pretty noticeable with Puig. When a swing gets long, it isn’t in the hitting zone as long as it needs to be to maximize the chances of hitting the ball hard. Until now, he’s been getting by with pure athletic ability and talent. Now, he needs to adjust to what pitchers are giving him to hit. This new stance should also help him to incorporate his lower-half. He’s a strong guy, but think how much more powerful his swing would be if he really used his legs. The potential is limitless. Mattingly talked about some of the changes Mark McGwire and Co., were working on with Puig. “‘I think he’s been better lately. Before the break, he looked a little rough. … I know he’s been working in the cage, doing certain things, trying to keep his lines a little straighter, a little less turned. I think he understands he’s not swinging as well as he’s capable of. 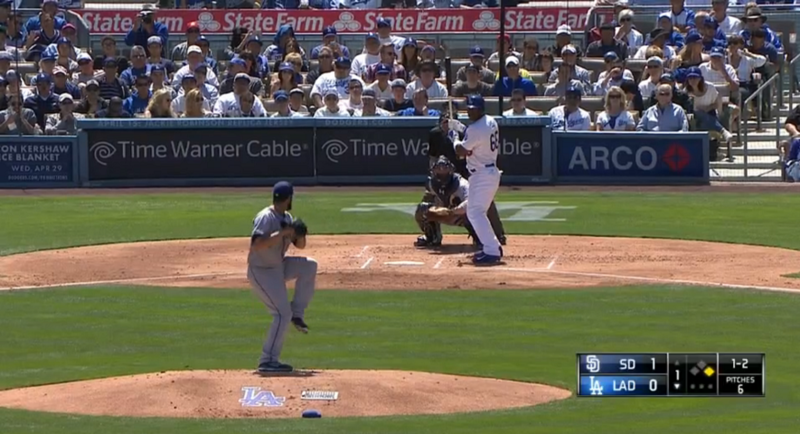 The turning is what I’m referring to when I say “moving parts.” It’s like Puig has turn his upper-half to gear up and generate bat speed for his swing. When the timing is off or he isn’t concentrating enough on it, that’s when he gets into trouble. This new stance is going to take some getting used to for him, both mentally and physically. His swing mechanics shouldn’t change that much, but he’ll have to make a concerted effort to make sure he’s incorporating the new methods being taught to him. It isn’t dissimilar to a pitcher being able to repeat his mechanics consistently. 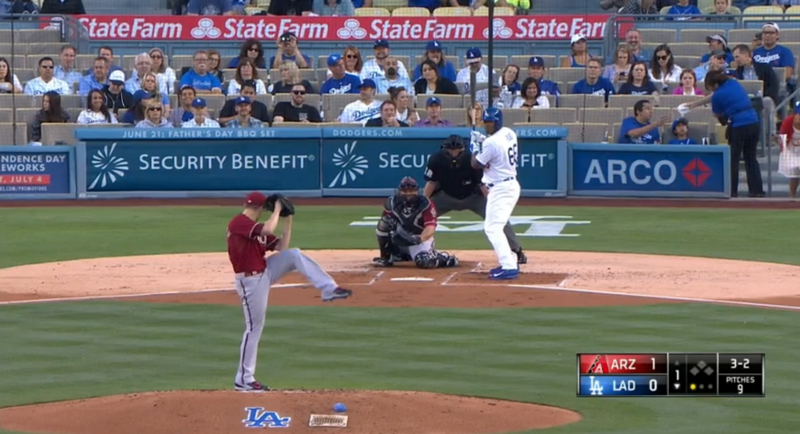 Opening him up should help Puig handle the inside pitches a little better. But he’ll also have to make sure he can still cover the outside part of the plate — something he has done relatively well in his career (save the slider in the dirt). Once he figures out the new parts of his swing and gets comfortable, he should take off. He has as much ability and potential as anyone in the organization — past or present. He’s too good to be performing at just a 112 wRC+. That sounds selfish (he’s 12 percent better than league-average), but seeing as he posted 160 and 147 in 2013 and 2014, I think the selfishness is justified. The benefits may not be completely immediate with this. I’d bet on a big jump from Puig no later than next season. That is, if he puts in the work necessary and needed during the offseason. He could be a slightly above-average hitter in his career without really trying much. But if he wants to be among the best in the game, it’s going to take a little more than pure athletic ability.